Great news to share! Musica en la plaza is now going to be offered once a month and they are starting it off with Kimba Light which means we can do a full-on rueda flashmob that night! Let's make this our biggest casinero meet yet!! Musica en la plaza is presented by the California Center for the Arts, Escondido. 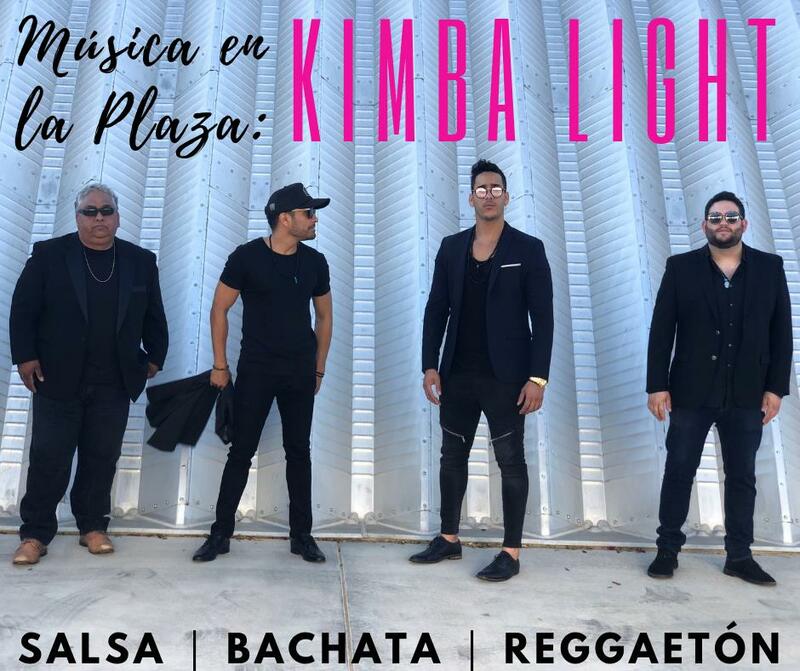 Bring your dancing shoes and join us for live music, tacos, and tequila in our beautiful Lyric Court at Música en la Plaza, now taking place the last Friday of every month year round! From Cumbia and Huapango, to Salsa and Norteña, these rhythms will move you to get up and dance under the stars. Everyone is welcome, so don’t miss out! The three-year-old band based out of San Diego brings its unique sound of salsa, timba, merenge, bachata, reggaeton, cumbia, and chachacha with a funky twist. The band is made up of five members: Yorly Quintero (piano and vocals) from Cienfuego, Cuba; Daniel Feldman (conga/percussion); Rene Campos (trombone) from Havana, Cuba; and native Californians Michael Atesalp (drums) and Fernando Garcia (bass and vocals).